Women’s Human Rights Centre (WHRC) is a nongovernmental organization founded in 2003. 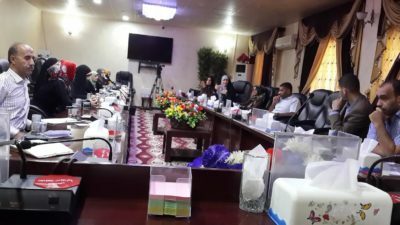 Its main goal is to empower women so they can be leaders & participate in Iraq’s transitional transformation from dictatorship to democracy. The WHRC has an elected administrative body, the “Board of Directors,” that is responsible for promoting the vision and mission of the organization. Incorporating women into transitional political processes is essential for lasting peace.